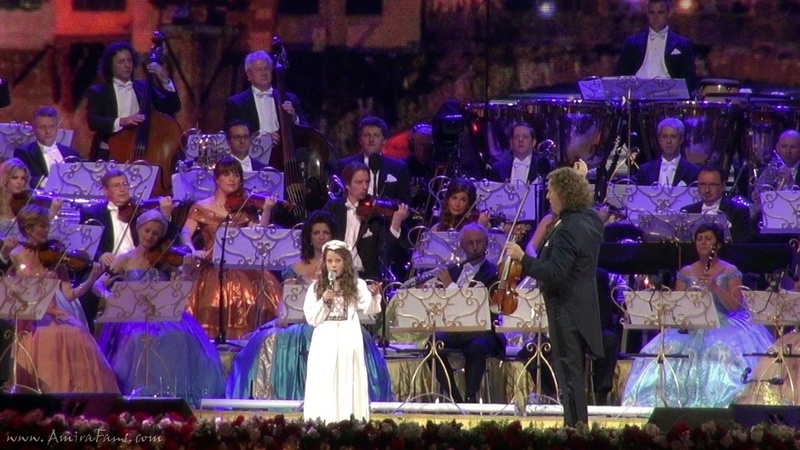 On Friday 11th and Saturday 12th July, Amira (10) sparkled at the Vrijthof (Big Square) in Maastricht, where she performed both nights as a guest of André Rieu and his Johann Strauß Orchestra, in front of an audience counting no less than 14.000 music lovers. During both nights Amira enchanted the audience with her beautiful voice, while singing an extra long version of O Mio Babbino Caro, which is still one of her absolute favourites. As is often, Amira’s performance caused a standing ovation. 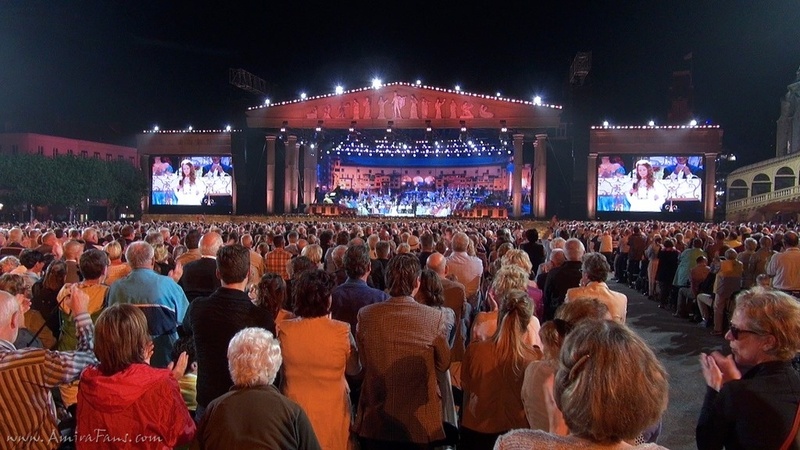 In the first week of July, Amira visited Maastricht to rehearse with André Rieu and the JSO, and to prepare for these performances. Shortly after winning Holland’s Got Talent Amia already got invited to perform with Rieu at the Vrijthof this summer, and during HGT, she already attended a master class from Rieu in London. UPDATE: September 1st 2014: We have added an excerpt of our footage of Amira’s performance on Friday July 11th. 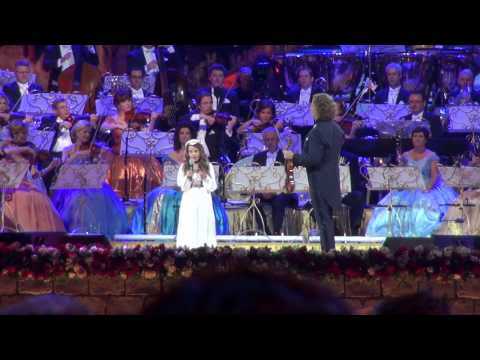 Tagged André Rieu, performance, Vrijthof. I really hope that her teachers will let her be who she is, and not become as they want to see her that would be devastating i guess. Awesome girl, and i am proud to be dutch again. thank you for your excellent website and I appreciate the amount of time and work you invest. I am a great Amirafan from Austria since I searched in the internet for a version of “Ave Maria” during last christmas and found Amira’s interpretation yaw-dropping. It is always hard for me to suppress tears while listening to her angelic voice and expression. Beside this maybe you can assist me in my intention to send a “Schildpad-knuffeldier” to Amira. Please give me a/your contact-address, because I fully respect the privacy of Amira’s family. Thank you in advance and best regards to your team and of course to Amira.